Air Ambulance Crash Attorneys | The Voss Law Firm, P.C. 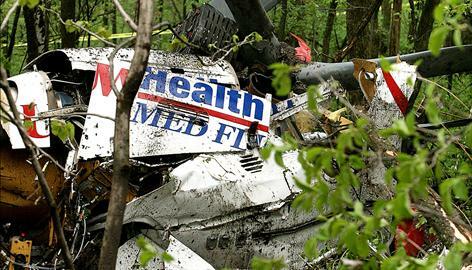 The number of air ambulance crashes has increased dramatically in recent years. In fact, a 2009 article in USA Today offered this lead: "Air-ambulance helicopters have the worst fatal crash record in aviation, and their crews are among the most likely to die on the job." The article went on to say that "The rate of fatalities per 100,000 air-ambulance employees over the past 10 years exceeds other dangerous professions such as logging or deep-sea fishing." Since the article was published, even more air ambulances have crashed, resulting in additional serious injuries and loss of life. On Christmas Day 2009, for example, according to a National Transportation Safety Board report, "a Bell 407 helicopter, N600CE, was substantially damaged during a hard landing following a loss of engine power shortly after takeoff from the Wise Regional Health System Helipad (XA57), in Decatur, Texas. The commercial pilot and flight medic sustained serious injuries while the flight nurse sustained minor injuries." According to the pilot, the single-engine helicopter experienced a complete loss of engine power. On September 25, 2009, according to an NSTB report, "a Eurocopter AS 250B2, N417AE, operated by Omniflight Helicopters Incorporated, was substantially damaged when it impacted terrain near Georgetown County Airport (GGE), in Georgetown, South Carolina. The certificated commercial pilot, flight nurse, and paramedic were fatally injured." The report went on to note that the helicopter, "was not approved for operation in instrument meteorological conditions (IMC), was not equipped with a night vision imaging system, was not equipped with an autopilot, and was not equipped with a terrain avoidance warning system." In 2006, an air ambulance plane, rather than a helicopter, in Hawaii crashed and killed all three on board. According to an article in The Honolulu Advertiser, "The pilot of a Hawai'i Air Ambulance plane that crashed Wednesday on Maui did not report any problems during the flight, company officials said." However, a preliminary report by the Federal Aviation Administration said the Cessna 414A lost engine power before crashing. The report also said "the flight had been cleared for landing before the crash." When you’ve been injured in an airplane accident, you want an aviation attorney who gets results and knows how to protect your rights. With many years of experience, our aviation accident lawyers are confident in their ability to represent your case.